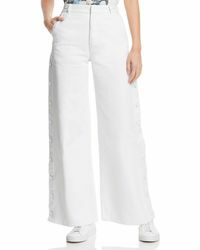 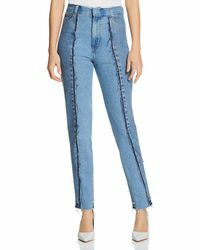 Feminine and striking, these Ksenia Schnaider jeans blend vintage and contemporary notes to eye-catching effect. 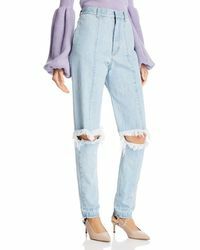 Directional details are one of the designer's signatures, so keep an eye out for distressed accents and playful proportions. 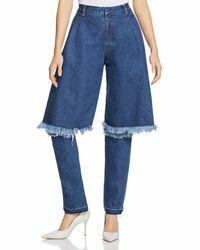 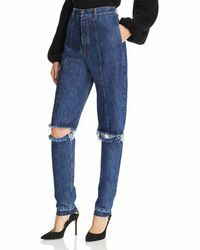 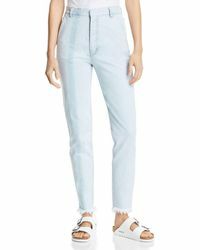 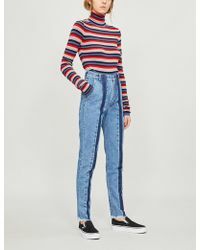 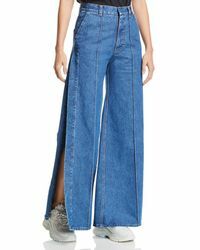 High waists and heavy, re-worked vintage denim adds a structured element to these Ksenia Schnaider jeans, so look to this collection for denim that will get you noticed.